The Law Council of Australia is the national body representing 16 state and territory legal professional bodies as well as Law Firms Australia. The Executive is comprised of six representatives of the Law Council's Constituent Bodies. The Executive is elected at the Law Council's annual general meeting each year. Arthur Moses SC has been practising at the NSW Bar for over 25 years and, in 2008, was appointed Senior Counsel in the state of NSW. 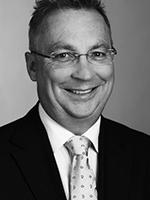 He is the immediate past President of the NSW Bar Association and has been a Director of Law Council since July 2014. He practises in a wide range of areas including administrative law, coronial inquests, corruption inquiries, proceeds of crime litigation, military law, work health and safety prosecutions, employment and industrial law, discrimination, restraints of trade, commercial, equity and appeals in all jurisdictions. Mr Moses regularly appears before the Supreme Court of NSW, the NSW Court of Appeal, the Federal Court, the Full Court of the Federal Court of Australia as well as appellate Courts in other states and territories. He is a Squadron Leader in the Royal Australian Air Force Specialist Reserve. Konrad de Kerloy was the President of the Law Society of Western Australia and is a Senior Disputes Partner of Herbert Smith Freehills, specialising in commercial litigation and corporate insolvency. His practice ranges from banking and contractual disputes, and contentious and non-contentious insolvency, to corporate restructuring, professional negligence, and reviews and disputes involving government departments and agencies. During a law career spanning three decades, Mr de Kerloy has worked on assignments in Chile, France, Germany, Indonesia, the United Kingdom and the United States, and has published numerous articles in legal journals. He is admitted to practice in Australia and in England and Wales. 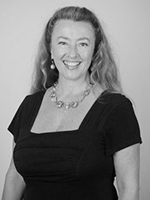 Pauline Wright is a Partner Principal of P J Donnellan & Co Solicitors in Gosford. She is President of the NSW Council for Civil Liberties, having been Vice President from 1998 to 2018, and has been active particularly in the areas of criminal justice, anti-terrorism and asylum seeker policy. 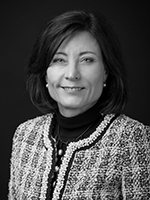 Ms Wright was President of the Law Society of NSW in 2017, having served on the Council of the Law Society of NSW since 1997. She also sits on a number of committees and working groups of the Law Council of Australia, including the Access to Justice Committee, Equal Opportunity Committee and the National Criminal Law Liaison Committee. She is also a keen ocean swimmer, surf lifesaver, singer, actor, theatre producer, director and writer. Tass Liveris has been a director of the Law Council since October 2014. He has been an Executive member since 2018. 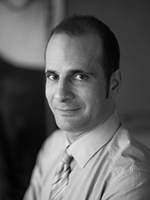 Mr Liveris was the President of Law Society Northern Territory for 3 years (2015–17). As a Law Council director, he has been a member of the Finance and Risk Committee (2015), the Corporate Governance Committee (2016-current ) and the Young Lawyers Committee (2015-current ). 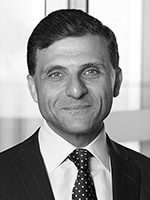 Mr Liveris has had a diverse career in criminal and civil law, having worked at the Perth office of the Commonwealth DPP, the Office of the Director of Public Prosecutions for WA and the litigation division of Clayton Utz in Darwin. Since 2010, Mr Liveris has practised as a barrister at William Forster Chambers in Darwin in a wide range of civil and administrative law areas, including contract and tort disputes, employment law, licensing, workers compensation and migration law. Dr Jacoba Brasch QC joined the LCA as a Director from the Bar Association of Queensland in September 2017 and was recently elected to the Executive. Jacoba is also Chair of the LCA's Domestic and Family Violence Taskforce, a member of the FLS Executive and Chair of the Australian Bar Association's former Access to Justice Committee and current Family Law Committee. In a break from her more usual areas of practice, Jacoba is the Chair of the Queensland Rugby League/ASADA Anti-Doping Tribunal. Admitted to the Bar in 2000, Jacoba's practice centres on family law, child protection, mental health law and family violence. She has appeared in various States and Territories of Australia and often appears in the Full Court of the Family Court of Australia. Jacoba has also appeared in the High Court of Australia, with those matters including, but not limited to, Customs & Excise, Family Law and the Hague Convention (Child Abduction).